Step back in time into this delightful French villa, full of wonderful character yet offering guests modern features to make their stay comfortable as well as memorable. Dating back to 1896. Step back in time into this delightful French villa, full of wonderful character yet offering guests modern features to make their stay comfortable as well as memorable. Dating back to 1896, the holiday home has been lovingly restored and offers four bedrooms, a beautiful swimming pool and is a short walk from the pavement cafes and beaches of La Croix Valmer. The perfect combination of antique style with contemporary furnishings is evident as you walk into the grand living-dining room with its tall ceilings, original tiled flooring and three beautiful French windows opening up to a terrace with glimpses of the sea. It's the ideal place for lazy afternoons reading on the comfortable sofas with the breeze coming in from the gardens or cosy evenings dining with friends or family with good food and fine local wines. The four bedrooms are upstairs, two of them with south-facing views of the sea in addition to a double bedroom with its own en-suite bathroom. The rooms are decorated with French flair using pretty old-fashioned colourful fabrics, traditional furnishings and a real feeling of nostalgia and historic charm. A roll-top bath, bed drapes and frilly valances are examples of the quirky and romantic style in this captivating home. There is a wonderful swimming pool in the enclosed gardens, surrounded by Mediterranean plants and a lovely lawn area where you can bathe in the sun on one of the poolside sun-loungers. You can also find a lovely spot to relax on the terrace leading from the dining-living area with comfortable modern outdoor furniture and views down to the beautiful La Croix Valmer coastline. The cafes, restaurants and small shops of La Croix Valmer are only a five minute walk away and be sure not to miss the bustling Sunday market every week. You can also walk downhill to the stunning coastline, approximately 25 minutes by foot or a short drive. Here you will find a 6km coastline of glorious beaches and an array of beach cafes and restaurants, all accessed directly by walking along the coastal footpath. Popular beaches include Plage de Sylvabelle, Plage de Heraclee, Plage de Gigaro, Plage de Ponent and Plage de Debarquement. There are great places for walking in the nearby nature reserves both inland and along the coast. The famous walking paths Sentiers des Douaniers start at Gigaro beach and end at Cap Lardier. Along the path, you will find diverse fauna and flora, small coves, umbrella pines and fine sand beaches. There are good cycle tracks around the local areas and very interesting countryside. Golf lovers must head to the Gassin Golf Country Club whilst horse lovers should visit the prestigious Polo Club, with four fields, arenas and a training track. Alternatively, if you fancy some glamour and nightlife, you can quickly head to St Tropez, with its luxury yachts, clubs and bistros as well as its Tuesday and Saturday markets. Don't miss a visit to Pampelonne beach where you may well bump into movie stars, football players and other celebrities. Traditional farm-house style winter kitchen with characterful features, well equipped with dishwasher, microwave, AGA oven, hob, fridge, freezer, coffee machine, washing machine, breakfast table and chairs. 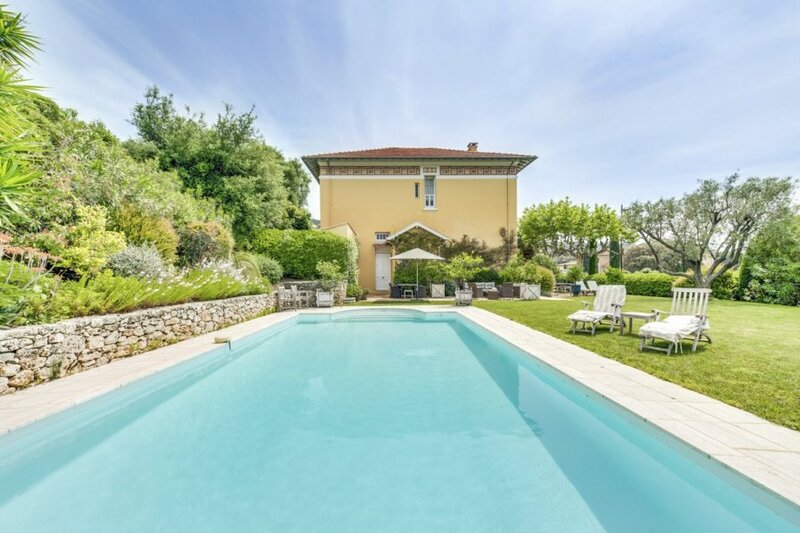 Villa Charme is just a short stroll from the heart of the village of La Croix Valmer, where you will find pavement cafes, restaurants, shops and a lively Sunday market. The slogan of this village is ‘Quality-of-Life' and it is a lovely place to be based, in the heart of the St Tropez peninsular. If you prefer a more active holiday, there are great places for walking in the nearby nature reserves both inland and along the coast. The famous walking paths Sentiers des Douaniers start at Gigaro beach and end at Cap Lardier. Along the path, you will find diverse fauna and flora, small coves, umbrella pines and fine sand beaches. There are good cycle tracks around the local areas and very interesting countryside. There are also tracks for those who have mountain bikes onto Cap Lardier. Other fun activities include jet ski, beach volley, quad bikes, paintball, pottery, mosaic and sculpture and a lot more. Golf lovers must head to the Gassin Golf Country Club, bearing the mark of Gary PLAYER, better known as the "International Ambassador to Golf" and second most-titled player in the world. In addition, one of the Var's oldest courses, the Beauvallon Golf course, is also close by. For horse lovers, there is a prestigious Polo Club, with four fields, indoor/outdoor arenas and a training track. Wine lovers must not miss one of the many local vineyards in the area where tastings can be arranged. If you fancy some glamour and nightlife, you can quickly head to St Tropez, with its luxury yachts, clubs and bistros as well as its Tuesday and Saturday markets. Don't miss a visit to Pampelonne beach where you may well bump into movie stars, football players and other celebrities.